Mary Lyddane, a lifelong Mets fan, brought her family to Game 1 of the World Series ready to cheer for the team. 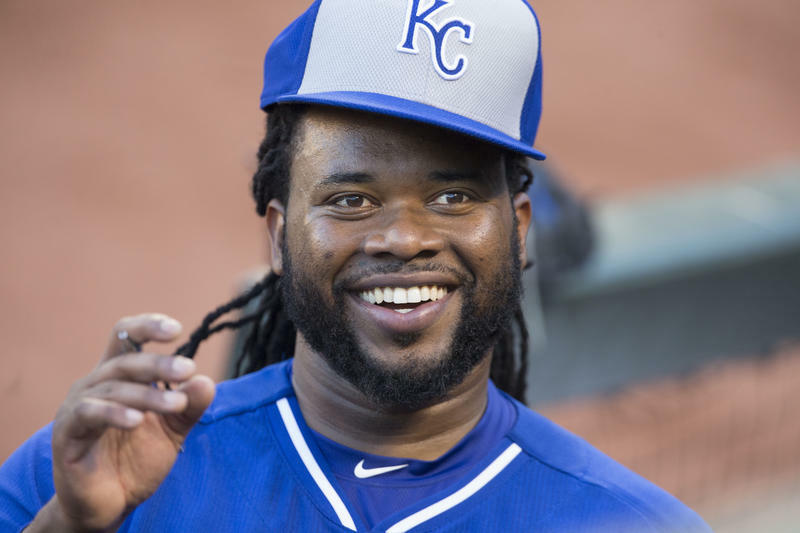 Most Kansas Citians already knew it’s hard not to love the Kansas City Royals, but even die-hard Mets fans can’t help but like the boys in blue. Cody Rogers drove 21 hours from Catskill, New York, to get to Kansas, where he's been working for the summer in the wind turbine industry. 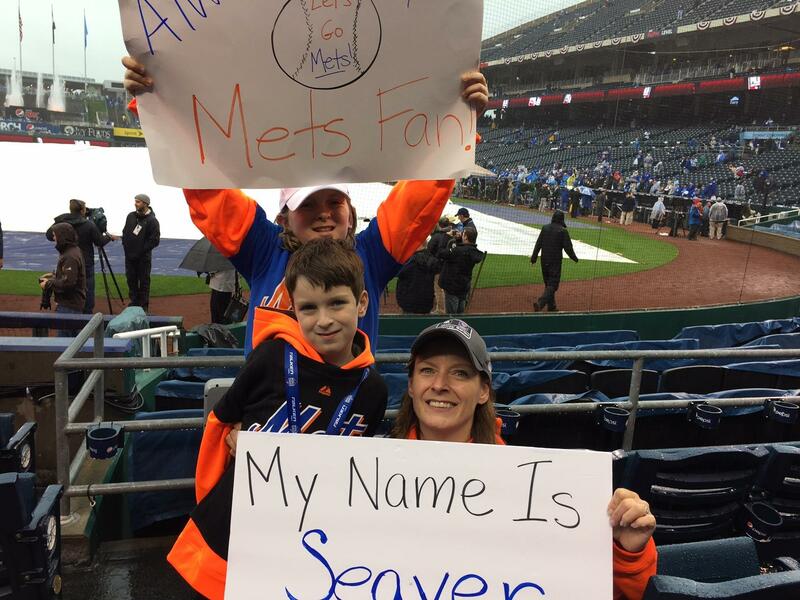 A Mets fan, he was at Game 1 of the World Series at Kauffman Stadium. “The Mets mean everything to me,” says Rogers. Rogers kept up with the Mets by watching games online. There were ups and downs over the season, but Rogers was thrilled when the team clinched the National League East Division. Those sentiments probably sound familiar to Royals’ fans, and Rogers says the Mets and Royals have a lot in common. Mary Lyddane lived in Queens until four years ago when she and her family moved to the Wichita for work. “The family was Brooklyn Dodgers fans, but when they moved, my mom became a Mets fan, and she was the heart of it all,” says Lyddane, a former NYPD officer. Lyddane carried on the Mets tradition by naming her son after former Mets pitcher Tom Seaver, who helped the team win the World Series in 1969. Even with this kind of family loyalty to the Mets, Lyddane has a soft spot for the Royals. “The Mets are probably the only team I’d root for over the Royals, but you can’t go against the Mets,” says Lyddane. Rudd grew up in Overland Park and has been in the stands during the post-season. 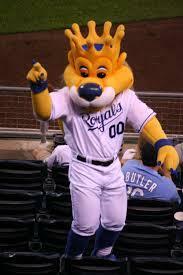 Heck, in 2014 he invited all of Kansas City over to his mom’s house after the Royals made it into the World Series. With Kansas City and New York about to face off in the World Series, KCUR's Central Standard challenged the Brian Lehrer Show at WNYC to a battle of wits, demonstrating once and for all why New York is a terrible place to live and Kansas City is a bastion of love, happiness and joy. By now, many Royals' fans know these facts about Kansas City's World Series opponent, the New York Mets: they have tremendous starting pitching, infielder Daniel Murphy is on a historic postseason home run binge, and their season changed when they acquired Yoenis Cespedes in late July. But did you know the franchise was once managed by a Kansas City-native nicknamed the 'Old Professor'? Or that they once set the modern mark for regular-season futility? Or that their ticket prices to this year's World Series purport to be the most expensive in Major League Baseball history?